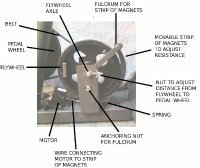 Our experts have put together exercise bike reviews covering a wide variety of indoor stationary bicycles. This resource covers price, options, features, warranties and more to help you select a model that fits your budget and fitness needs. Hopefully, we have covered all your questions, including the difference between an upright exercise bike and recumbent exercise bike, which are the popular brands, what type of drive system is better, what is a comfortable fit, what features you need, what is a good warranty, and where to find exciting workout programs to put some spice into your routine. Our exercise bike reviews are based on several criteria including the opinions of fitness equipment experts. We researched each manufacturer thoroughly and gathered pertinent details about each bike from several sources, then included user reviews and reviews submitted by visitors to this website. Our ratings and reviews are unbiased, based on facts and information we've confirmed from a variety of sources so that you can make your comparisons with accurate and up-to-date information. 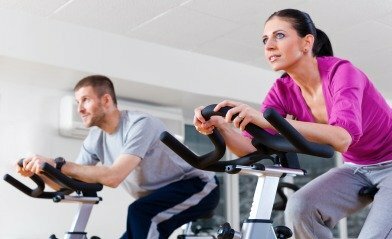 In addition, we believe an exercise bike should offer interesting features and solid frames to attract you to work out regularly. In addition to our reviews of leading brands such as Life Fitness, Keiser, NordicTrack, Proform, Schwinn, and Stamina, we also include bike styles you might not have considered including dual action bikes, spinning bikes, mini and portable bikes. 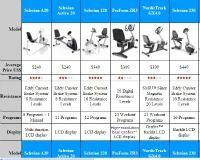 As for the main types of exercise bikes, uprights and recumbents, we give you complete and comprehensive charts for comparison shopping. The charts include all key points including warranty, features, and price. Where each bike is individually reviewed, you will find ratings plus comments on ease of use, durability, comfort, adjustability, company reputation for customer service, user reviews, and more. Click on the company logo on the left for exercise bike reviews of the particular brand. Click on the model number on the right to read the review that interests you. What You Will Learn From Our Bike Reviews? When you click on a brand or model above, you will find a complete overview and analysis, so you'll definitely be able to choose the perfect recumbent, upright or indoor cycle for your home gym. If the list above is a bit too overwhelming, you can check out our 2017 Best Exercise Bike list for our expert's top picks in each category. It is also broken down by price so you will see a budget, mid-range and high-end bike for each type. From there you can also read our exercise bike reviews of those top picks before you buy so that you can make a more informed decision. Of course, if you need a recommendation, please feel free to contact us at any time. Also, if you don't see a particular model above, check back often as we are always updating our reviews. Which Brand/Model Should You Choose? We've listed the best brands above, along with the current available models, so that's a very good starting point for you if you don't have a particular brand in mind. Any of these will be a great choice for you. Another consideration is budget. Some of the top brands above might not fit in your budget, so you can cross them off your list right away. This should help you choose the exercise bike reviews that cover the upright, recumbent and indoor cycling bikes that fit your budget. If you can stretch it a little it's worth looking at the higher end bikes, because you typically get more features, capabilities and durability as you move into the upper price ranges. But that's not say you can't get a killer machine under $1000. Figure out how much you can spend, check out the specs, features and reviews of those models to see which one most appeals to you. We can always help you narrow down your choices if you need.